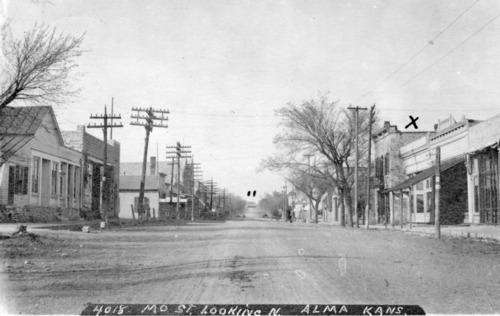 This is a 1907 Zercher Photography view which shows both sides of Missouri Street, looking north. The museum building is on the left; however, the old Meyer store next door was still standing. It was replaced in 1908. The Palenske Hall building on the east side of the street still bore its original front. Utility poles are visible in the photo.